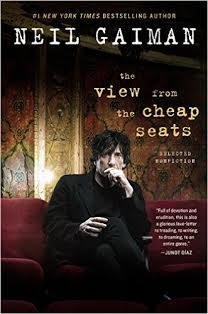 VJ Books Presents Author Neil Gaiman! Neil Gaiman was born in Hampshire, UK, and now lives in the United States near Minneapolis. As a child he discovered his love of books, reading, and stories, devouring the works of C.S. Lewis, J.R.R. Tolkien, James Branch Cabell, Edgar Allan Poe, Michael Moorcock, Ursula K. LeGuin, Gene Wolfe, and G.K. Chesterton. A self-described "feral child who was raised in libraries," Gaiman credits librarians with fostering a life-long love of reading. Gaiman began his writing career in England as a journalist. His first book was a Duran Duran biography that took him three months to write, and his second was a biography of Douglas Adams, Don't Panic: The Official Hitch Hiker's Guide to the Galaxy Companion. The groundbreaking series 'Sandman', collected a large number of US awards in its 75 issue run, including nine Will Eisner Comic Industry Awards and three Harvey Awards. In 1991, 'Sandman' became the first comic ever to receive a literary award, the 1991 World Fantasy Award for Best Short Story. Neil Gaiman is credited with being one of the creators of modern comics, as well as an author whose work crosses genres and reaches audiences of all ages. He is listed in the Dictionary of Literary Biography as one of the top ten living post-modern writers and is a prolific creator of works of prose, poetry, film, journalism, comics, song lyrics, and drama. 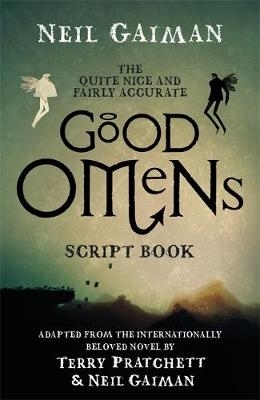 You can find Neil Gaiman signed books below this bio as well as a list of his works. Audiences for science fiction and fantasy form a substantial part of Gaiman's fan base, and he has continuously used social media to communicate with readers. In 2001, Gaiman became one of the first writers to establish a blog, which now has over a million regular readers. In 2008, Gaiman joined Twitter as @neilhimself and now has over 1.5 million followers and counting on the micro-blogging site. He won the Twitter category in the inaugural Author Blog Awards, and his adult novel 'American Gods' was the first selection for the One Book, One Twitter (1b1t) book club. His first collection of short fiction, Smoke and Mirrors: Short Fictions and Illusions , was nominated for the UK's MacMillan Silver Pen Awards as the best short story collection of the year. Most recently, Gaiman was both a contributor to and co-editor with Al Sarrantonio of Stories (2010), and his own story in the volume, The Truth Is A Cave In The Black Mountains , has been nominated for a number of awards. Author Signed Hardcover Book May 2015 NY: HarperCollins First edition, first printing, mint, new/unread, in a flawless dust jacket, signed by Neil Gaiman. Each dust jacket is protected in an acid-free archival quality acetate cover. Author Signed Hardcover Book 2007 NY: HarperCollins First edition, first printing, mint, new/unread, in a flawless dust jacket, signed by the author. Each dust jacket is protected in an acid-free archival quality acetate cover. Author Signed UK Hardcover Book.June 2012 LON: Bloomsbury First UK edition (thus), first printing, mint, new/unread in a flawless dust jacket, signed by Gaiman and illustrator, Chris Riddell. Each dust jacket is protected in an acid-free archival quality acetate cover. Author Signed Graphic Novel. 2016 OR: Dark Horse First edition, first printing, mint, new/unread, no dust jacket as issued, signed by the author. VJ Books Price $39.99 --> Why collect Graphic Novels? 2005 NY: HarperCollins First Illustrated Film Script Edition, first printing, mint, new/unread in a flawless dust jacket, signed by the author. Author Signed Hardcover Book. 2015 NY: William Morrow First edition, first printing, mint, new/unread in a flawless dust jacket, signed by the author. Each dust jacket is protected in an acid-free archival quality acetate cover. Author Signed Hardcover Book. 2017 NY: HarperCollins First edition, later printing, mint, new/unread in flawless pictorial boards (no jacket as issued), signed by the Gaiman and illustrator Chris Riddell. Author Signed Hardcover Book. 2017 NY: W. W. Norton & Co. First edition, later printing, mint, new/unread in a flawless dust jacket, signed by the author. Each dust jacket is protected in an acid-free archival quality acetate cover. 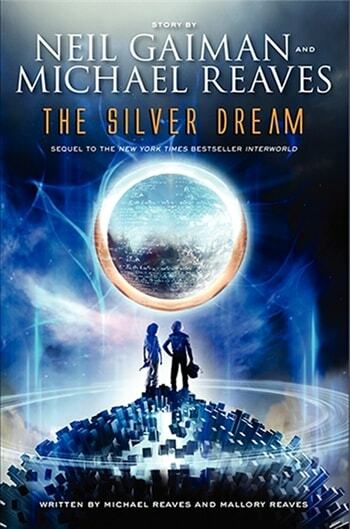 Author Signed Hardcover Book 2013 NY: HarperCollins First edition, first printing, mint, new/unread, in a flawless dust jacket, signed by the author. Each dust jacket is protected in an acid-free archival quality acetate cover. Author Signed Gift Edition. November 2012 NY: William Morrow Gift Edition, first printing, mint, new/unread in gold-stamped cloth bindings, signed by the author. No dust jacket as issued. Author Signed Graphic Novel. 2015 NY: Super Genius First edition, first printing, mint, new/unread in a flawless dust jacket, signed by the author. Each dust jacket is protected in an acid-free archival quality acetate cover. VJ Books Price $79.99 --> Why collect Graphic Novels? Author Signed UK Hardcover Book.June 2013 LON: Bloomsbury First UK edition, first printing, mint, new/unread in a flawless dust jacket, signed by the author. Each dust jacket is protected in an acid-free archival quality acetate cover. Author Signed Hardcover Book. May 2016 NY: HarperCollins First edition, first printing, mint, new/unread in a flawless dust jacket, signed by the author. Each dust jacket is protected in an acid-free archival quality acetate cover. Author Signed UK Hardcover Book. May 2016 LON: Headline First UK edition, first printing, mint, new/unread in a flawless dust jacket, signed by the author. Each dust jacket is protected in an acid-free archival quality acetate cover.